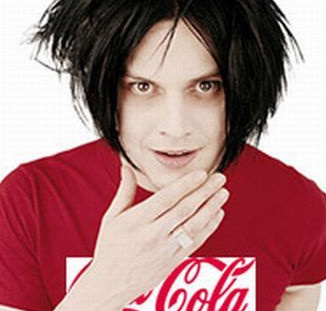 Actor, purveyor of retrogressive side projects... is there no limit to Jack White's abilities? Apparently not. Pitchfork reports that White has been asked to join a bunch of country musicians advising the mayor of Nashville on musical matters. The music industry pays a vital part in the city's economy, contributing $6.38 billion a year, according to a recent study by the Nashville Area Chamber of Commerce. White will be joining the likes of Emmylou Harris and Kix Brooks on the 46-strong Music Business Council, who'll be giving mayor Karl Dean tips on how to strengthen Nashville's musical brand. "We are known to the world as 'Music City,' " Dean said. "Not 'The Athens of the South' or 'The Home of the Cumberland' [what has the appropriation of curled sausages got to do with it? - Ed] or whatever. And we need to protect our brand and our positioning as Music City, to keep creative people here and attract people to the city and help our tax base. We want to know what the city can do together with the music industry to help them succeed here. "The key message I'm trying to get across to the music industry is, 'We care, we want you here, and you are what gives the city its edge,'" he added.